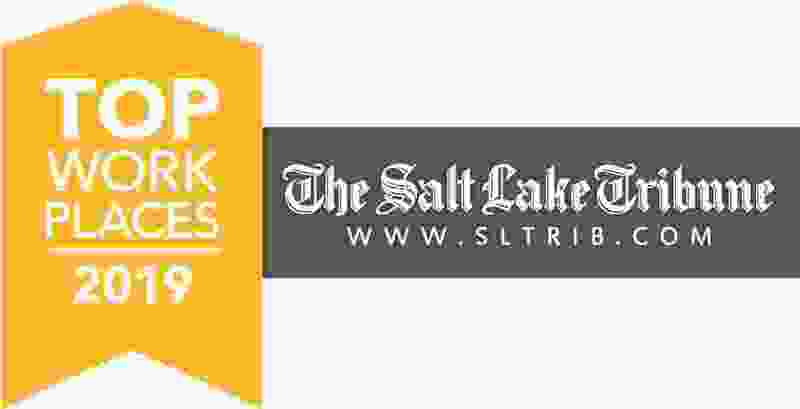 For the sixth year, The Salt Lake Tribune is hosting a Top Workplaces survey, asking Utah workers to rate their employers on how well they look out for employees, show them they are valued and give them the resources to do their jobs. The Tribune is seeking nominations for its 2019 Top Workplaces award and now you have more time to vote. Nominations will be accepted at sltrib.com/nominate until May 17. Dozens of companies have been recognized for their collegial environment, employee-friendly practices, team spirit and more since The Tribune launched the competition in 2013 in partnership with Energage, an employee research and consulting firm based in Philadelphia. Twistlab Marketing is among the 2018 Utah’s Top Workplace winners. The full-service marketing agency based in Cottonwood Heights caters to small businesses inside and outside of Utah. It prides itself in providing clients with exceptional marketing strategies, campaigns and products with a twist. Twistlab was one of 85 companies in Utah recognized in 2018 based on surveys completed by their employees about the office culture and environment. Twistlab ranked fourth in the small company/organization category last year and the company embraced the recognition, said Sam Omer, business manager at Twistlab. Year six is now at hand, and The Tribune is still seeking nominations from workers who believe their companies — whether small, medium or large — look out for their employees, show them that they are valued and give them the resources to do their jobs in an efficient and satisfying manner. Any organization with 35 or more employees in Utah — public, private, nonprofit, government — is eligible to participate. Once an organization is nominated, its employees will be emailed a short 24-question survey seeking information about aspects of workplace operations that can separate the good from the mediocre. The survey period runs March through May. In past years, said Energage CEO Doug Claffey, employees have been eager to respond to these questionnaires. Last year, organizations sent surveys to 35,827 Utah employees at 125 companies and agencies, with more than 800 organizations invited to participate. It got 22,686 back, a response rate of nearly 63 percent. Energage conducts Top Workplaces surveys for 50 major metro newspapers and surveyed 2.6 million employees at more than 7,500 organizations across the country in 2018. Many of Twistlab’s employees feel a sense of community at their work. “I feel open to ask my colleagues for help whenever I need it and never feel discouraged to suggest improvements,” said Martika Heath, analytics manager. While Twistlab Marketing made the ranks in 2018 for the first time (along with 29 other Utah businesses), a number of companies have won Top Workplace awards for the past five years. Diversified Insurance Group, Salt Lake City. Get Away Today Vacations, South Ogden. Encompass Home Health & Hospice, Dallas. O.C. Tanner, Salt Lake City. Discover Financial Services, Riverwoods, Ill.
Salt Lake County Public Library, West Jordan. To join the survey, an employee, employer or customer may nominate a Utah company by May 17 at sltrib.com/nominate or by calling 801-803-6841.